Good Evening on this Sunday October 11th, 2015. After all the news going on in the Middle East and in Syria, I thought it would seem proper to bring to light a story sent to me by a close, dear & personal friend of mine who is an Egyptian Citizen and currently resides there. He wished I didn't give his name, but none the less his story is a true but disheartening one. Most people are unaware of the affiliations of the United States Government and the Muslim Brotherhood. Even less people are unaware of the Correlation of the Muslim Brotherhood and I.S.I.S., yet more people in the United States know about the C.I.A. and I.S.I.S. than those who no longer believe in Santa Claus. I saw this story to be fitting, and would demonstrate the situation that led up to what we have now and how it has devastated a people who have longed to share in the American Dream. Let's not forget that a country is her people. And her people is the country. Land may go on forever from owner to owner, but the people remain. The people are the ones who feel the pain and suffering from the actions of political giants. Not the political enemies. Just the people. I believe this is one of the fundamental beliefs that most politicians tend to forget when they are sitting in their ivory offices surrounded by clerks and interns. After the Muslim Brotherhood became the authority in Egypt, the United States started to support the Muslim Brotherhood at an astounding rate. This style of political endorsement annoyed all Egyptians because everyone in Egypt already had the knowledge that Muhammed Morsi won the election by fraudulent acts attained through the misuse of the Egyptian Army, why? Well, firstly the Muslim Brotherhood sent out a warning(a metophoric paper bull) to the Egyptian Army and The Egyptian Intelligence Agency. If by some chance, the opposing candidate to the Muslim Brotherhood won the election, they would simply engulf Egypt in a sea of flames; creating terrorist operations in all corners of the Egyptian world. This, added to the fact that the Egyptian Police had been reduced to a weakened force due to the revolt and could not possibly defend all points of Egyptian Civilian Populations against any expected or unexpected terrorist attacks. While the Egyptian Army was off at the Libyan Border fighting the militant revolt there, there was no way for the Egyptian Police to fight against any of this. All of this sent the Egyptian Army and Muhammed Morsi to victory of the election by fraud to keep the country secure. All of the Egyptian people knew that Morsi won by fraud, yet no one spoke a word, because they saw a crippled Egypt which was in dire need of repair and settling. 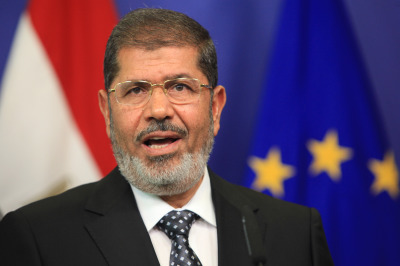 However, there were hopes that Morsi would govern by the rules set by the people and for the people. The worst had been set behind them with their future as wide open spaces only needing the nurturing of a great care taker. It did not take long for the truth to be brought to light, for the opposite effect had set in for the people of egypt. 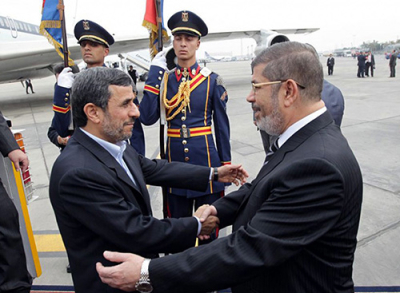 Morsi began interfering in politics, religion, and even in human rights. What struck home worse for the Egyptian people is the support Morsi was receiving from the United States Government. How could the leader of the free world, The United States be so supportive to such a criminal? Not long after, the Egyptian Army began noticing things going on in the Sinai... Some militant groups were being created in secret, trained by Hamas with aid from Israel. This in itself is a unique correlation. How could Israel aid in training being conducted by Hamas, where just a few hundred miles away, Israel & Hamas were shooting rockets at each other? There in the Sinai, major excavations were taking place with the digging of massive amounts of underground installations and tunnels. THere was a plan coming together to take part of the Sinai and give it to the Palestinians by declaring it an Islamic State for them to overcome ongoing disputes between the Palestinians & Israeli's about the formation of the Palestinian Homeland. 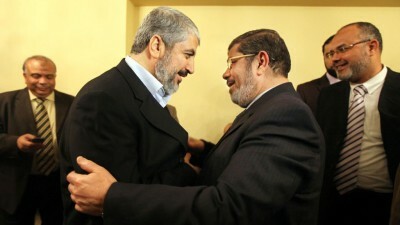 Since Hamas is part of the Muslim Brotherhood, Morsi & Hamas agreed to this joint venture. THe Israeli's certainly didn't have anything to lose. Only to gain with the expansion of the Israeli homeland to the north in previously occupied Palestine. Before too long, the Egyptian Army & Intelligence Agency began leaking documents to inform the people of the continually evolving situation & the criticality of the events. This left Morsi with no direction for recourse. He immediately took to the television air waves and stated that he would lead a military operation against any known terrorist organization in the Sinai. Shocked of Morsi's reaction, the Egyption Army had no choice but to follow his command. What the Army soon discovered though was even more torturous to their souls. Morsi denied attacks on key targets in the Sinai, though the Army knew militants were existing in these key target areas. On a daily basis, the situation grew more dangerous from militants in the Sinai, the Palestinians & his Islamic background. To the tune of about 14 Egyptian Apache helicopters were sent for development and maintenance in the United States. What jolted the very livelihood of the Egyptian People and led to their disappointment of the United States, is that the U.S. banned the sales of Apache Helicopters, and also banned the Annual American Financial Aid which was part of a contract of peace between Israel and Egypt. These were all funds and resources desperately needed by the Egyptian Army to fight against terror in the Sinai & defend the border next to Libya. At this point in the game, the Egyptian people have had enough... Enough of politics, accusations, and failed attempts at deceiving them. The people of Egypt, very strategically, began a 2nd revolution against the Muslim Brotherhood and their pupped, Muhammed Morsi. To either force him to change his strategy and way of thinking, or to leave entirely. It did not take long for the political propoganda machine to begin it's operations. A representative of the Egyptian Army was seen on television and gave a message to Morsi and to the people that there were plans in the works to use these revolutions to start a terroristic attack and create serious havoc and damage to Egypt. Morsi was given 48 hours to come to terms with his people. In secret, The Muslim Brotherhood & Muhammed Morsi had a meeting with the Egyptian Army, where they stated, "If we leave, Egypt will burn." Afterwards, Morsi came out on television and said, I'm the president who was elected by the people. I will not leave the authority you have elected me to until I have finished my presidential term. This came as a direct provocation to the people of Egypt and they demanded he be pulled from office the same as Mubarak. A demonstration was orchestrated in front of the Egyptian Ministry of Defense. 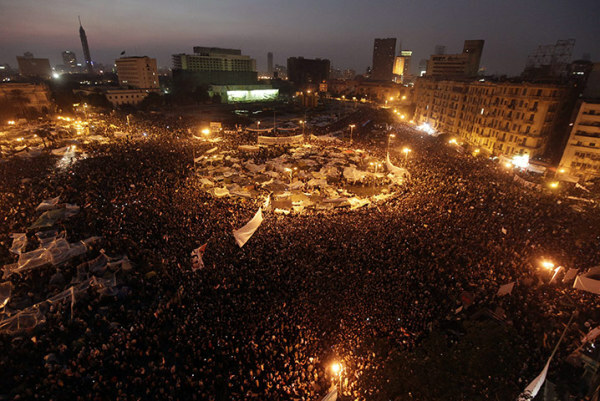 The people demanded the Army stand behind them, as the Army did when Mubarak was pulled from office. The Army finally came to the bidding of the people, and Morsi was isolated. Now Russia & France are standing with the Egyptian Army, in the place where the United States once stood. 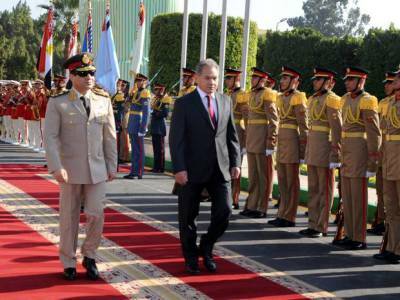 The United States is standing against both the People of Egypt and the Egyptian Army. From this, Egypt has stepped back from the United States, but will never stand against the United States. A representative of the Egyptian Army stated on television, after the flight of United States Support away from the will of the Egyptian Nation; he said, Egypt will never forget how much the United States had aided and how much military equipment aid the United States had given to us. 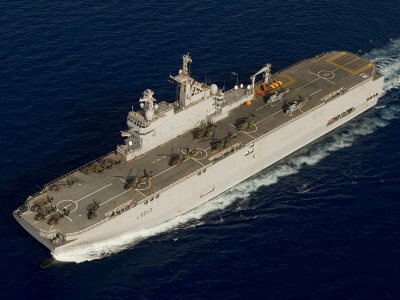 Now, the Egyptian army has restarted previously suspended manufacturing projects of advanced weapons, and also began to import very advanced mlitary equipment from France, like the 2 mistral aircraft carriers built especially for Russia and 24 Rafale advanced tactical fighter aircraft, and many more. They are receiving the same support from Russia including enhanced s300vm and advanced aircraft from Mig and Sukhoi. Until this very moment, there is not a living soul in Egypt who knows why the United States wanted to be separated from the closely held ties it held so dear to Egypt and take a 180 degree turn to support the Muslim Brother hood. A group defined as agents of terror and enemies to the human race. But as you can see in today's developments in Syria, the Islamic State is a major force to be reckoned with. The Islamic State, which formed out of Al-Qaeda in Iraq, is a spinoff and still remains close ties to the likes of the Muslim Brotherhood. This entity of destruction is killing people by the thousands. Innocents... dead... Sponsored with your American tax dollars, funding gave through the C.I.A. Both Al Qaeda affiliated entities are being used to destroy Iraq and Syria as Nation States....... The terrorists are the foot-soldiers of the Western military alliance. US-NATO-Israel are state sponsors of terrorism, providing training, weapons and money to various terrorist formations. The endgame is "regime change" in Syria and the fragmentation of Iraq. What are we doing here? How is this benefiting the greater good?